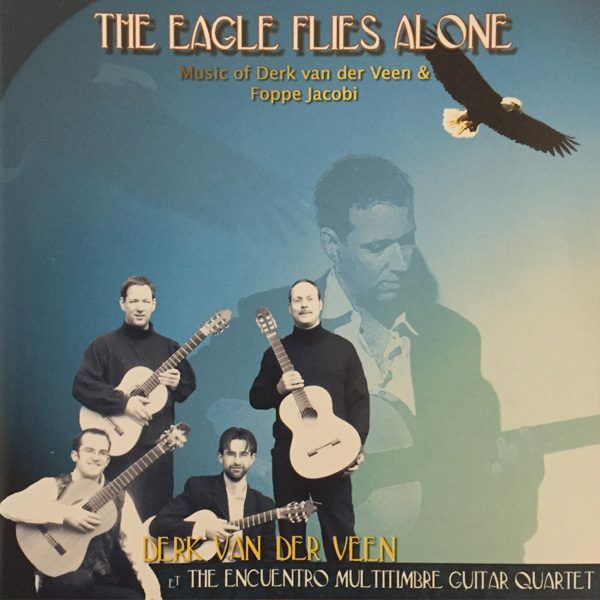 “The eagle flies alone” is a hommage to “the Eagles” the legendary Californian rock band. 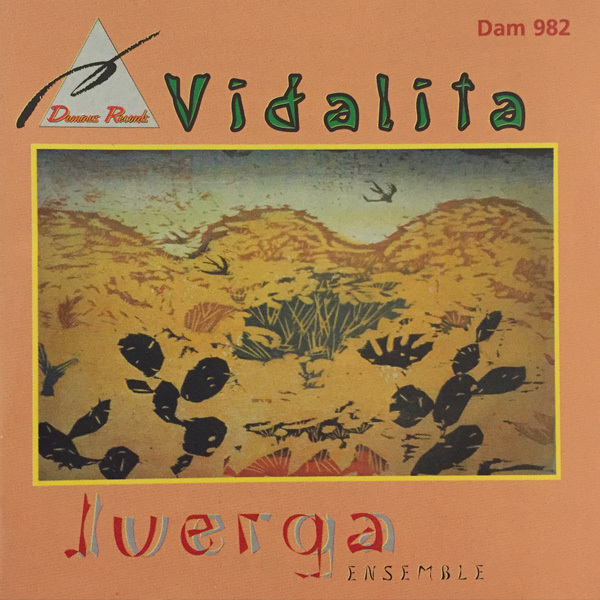 All the music was composed by Derk van der Veen apart from the prelude from the ‘lost city’ which is arrangement by van der Veen from a piece for accordeon by the Dutch composer Foppe Jacobi. 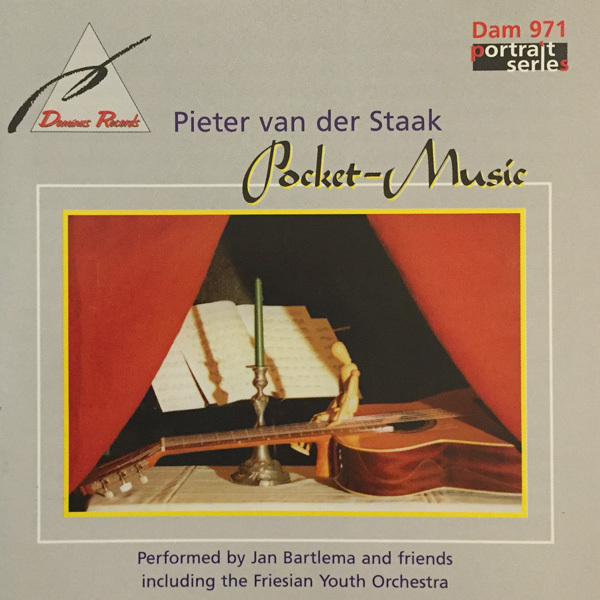 Derk van der Veen is a guitarist and composer who shows a talent for combining classical music with world music and pop music. His “lady in Chinese landscape” is a great exemple of incorporating these different styles. 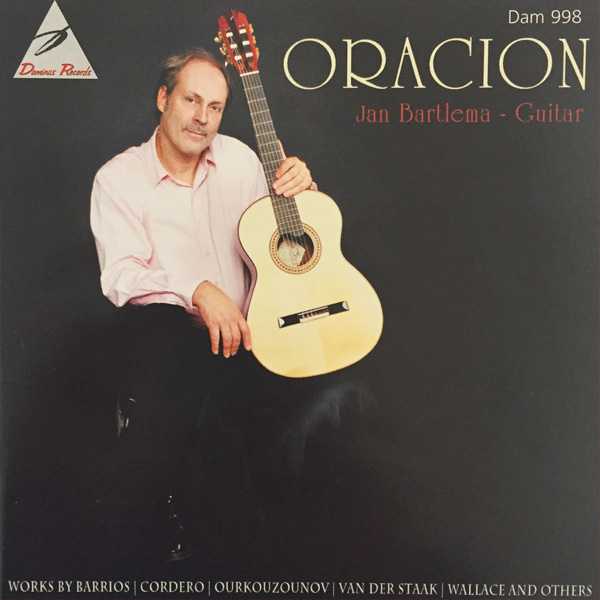 Most of the compositions on this album are written for guitar quartet with the unusual combination of nylon string and metal string guitars, as well as a acoustic bass guitar. I play on steel string guitar here and being a classical player, it was a challenge for me to master all the licks playing with a pick!